The Whitt offers comfortable 3 star ensuite rooms and self contained studios with a complimentary continental breakfast included in the rate. 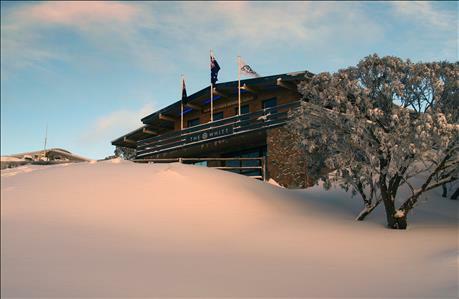 Located just 40 metres from Bourke Street Ski Run, The Whitt offers one of the few genuine ski in, ski out locations on Mt Buller with rental hire just another 60 metres away. The village centre is located only a short stroll from the property offering an array of restaurants, bars and merchandise. The Whitt’s dining and bar area offers breathtaking views of the alpine region and has a great reputation for giving excellent value for money and a great selection of hearty European cuisine suited for the hungry skier after an exhilarating day out on the slopes. The games room is an excellent place for the kids for a game of table tennis or pool, while the adults enjoy a bit of après in the Whitt’s main bar. Enjoy the warmth of the log fire in the quiet secluded Governor’s lounge where Wi-Fi is available for use.